Neauvia Organic is the world’s first line of fillers so close to nature. It was developed with use of the latest technologies, ensuring an unprecedented purity and efficiency of preparation. Pure materials and original production make the Neauvia fillers stand out as the new generation of products. Hyaluronic acid (HA) fillers owe their popularity to good results, low intrusiveness and safe application. However, there are rare cases where a patient’s body reacts to them against expectations. Thanks to PEG features and to a precise technique of determining the molecular weight of the HA, Neauvia fillers have the most optimal rheology – the ratio of three properties – on the market. 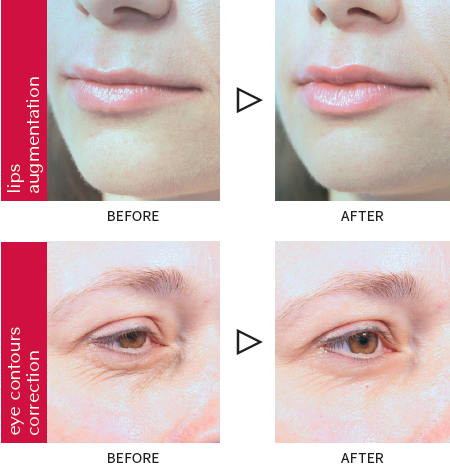 Safety and effectiveness of fillers also depends on how they are stabilised. Usually, a BDDE (a cross-linking agent) is used for this purpose. Due to its toxicity, it is assumed that the lower its content is, the safer is the product. However, low amount of cross-linker reduces longevity and performance in the tissue. The aging process gradually deprives skin not only of hyaluronic acid, but also of collagen; these precious substances, naturally produced by fibroblasts, are responsible for the skin’s density and flexibility. Reduction of the amount of these substances cause the appearance of wrinkles and aged skin.